If you’ve ever found yourself frustrated over the need to constantly switch between apps to manage your calendar, collaborate on projects, assign tasks, chat, share files — you name it — Tracky wants to be your savior. The Las Vegas-based company, which just raised $1 million in angel funding, is demonstrating its eponymous product at the SXSW Startup Debut on Saturday and opening it up for public beta. 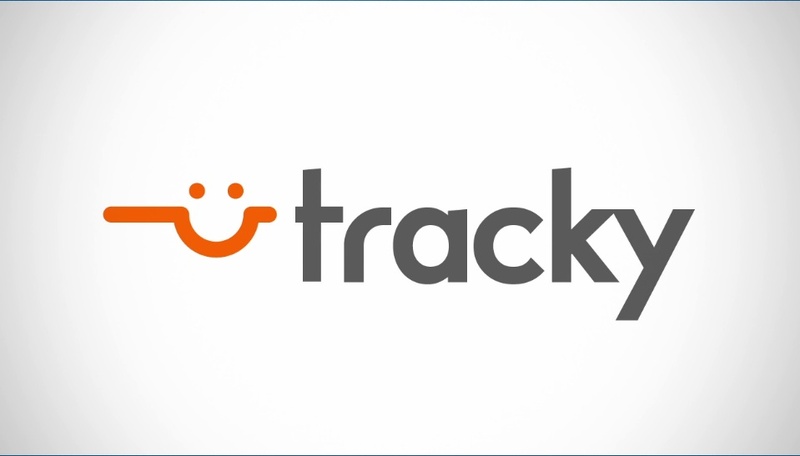 Aside from its sheer number of features, Tracky really wants to distinguish itself from the already-crowded collaboration market by its frictionless nature. Rather than being closed off to the outside world behind a corporate firewall, Tracky lets users search its membership for potential collaborators who might be useful for a particular personal or professional project. As Founder and CEO David Gosse recently explained to me, while Tracky certainly targets business users (those that use a lot of contract employees might find it particularly helpful), it’s also designed for everyone from a bride trying to plan her wedding and needing to find local service providers, to a group of conference attendees trying to work on an ad-hoc project. All it takes to sign up is an email address or a Twitter or Facebook account. The company takes its status as a cloud service seriously, too. Not only is it designed with mobile devices in mind, but Tracky is hosted in the SuperNAP data center in Las Vegas, which Gosse said will help ensure maximum performance and reliability. Tracky will be free for two-person groups (or up to two groups per person) and 100MB of storage. Five dollars per user per month will provide unlimited groups and users, as well as 1GB of storage and the ability to cordon off private groups. Extra storage will be “about” 35 cents per gigabyte. Tracky and its investors are no doubt banking on the fast-growing market for social business software and the wide variety of players (Jive(s jive), Salesforce.com, Yammer, Basecamp, Microsoft(s msft), Google(s goog), Socialcast(s vmw), etc.) to help make its case for success. There’s clearly an appetite for this type of product, and one that cleanly combines so many features into a single window should be a success. Of course, there’s also risk: Tracky’s competition has years of experience, hundreds of thousands of customers and billions in the bank. Elbowing into their space won’t be easy. This is apparently still a beta – which is NOT evident by the main page. They ask you to “Get on Tracky. It’s free” by submitting your email address and clicking “Sign Up”. Only after doing so are you met with announcement that “Tracky is in beta and we’ll let you know”. This, my friends is TACKY…..
Tracky is a super promising product. It’s taking something very complex — managing project across many different people — and making it easy. Much more intuitive than any of the competition meaning it will get used. It’s the right product at the right time with the right focus on the user experience. After using Tracky for a few weeks I can defintely appreciate the effort that went into making the interface intuitive. The interfaces for social collberation tools can become cumbersome quickly due to how much they attempt to solve. So far Tracky has seemed to safely clear that important hurdle. Must say, big points for hyper fast speed on uploading and attaching files within Tracky. Clearly a nod to their code and SuperNAP for that. Lastly, my email inbox volume has decreased quite a bit due to shifting my work related conversations onto Tracky. Tracky is seriously amazing! We’ve been using it Neon Brand and love how simple it is to bring in clients to conversations without sacrificing functionality. Go #VegasTech! Awesome news, congratulations to David, Jennifer and the rest of the stellar team at Tracky! I’ve been using this platform since day 1 when I met David at CES in Vegas. I was testing a number of products that had similar functionality, but just didn’t do “it” as clean and user friendly as Tracky. 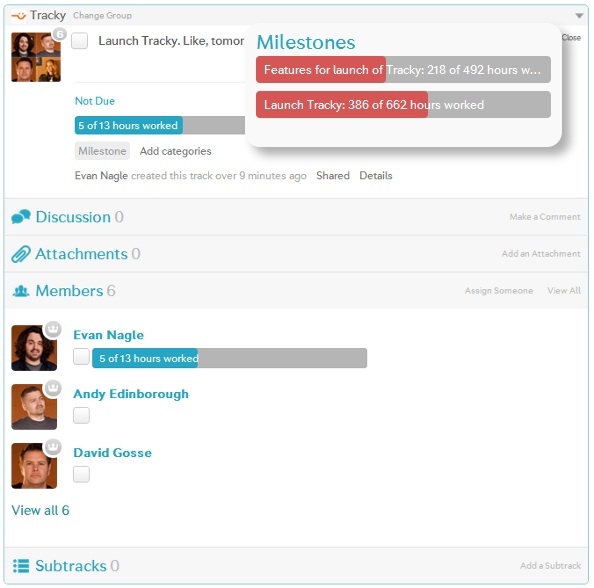 Social CRM for your personal and professional life is the best way to describe Tracky. Looking forward to more awesome functionality as they continue to mature the platform. Thanks so much for the support, James! As a media business owner, TedX organizer and very busy person, that means a lot coming from you! We’re constantly listening to user feedback and refining the UI and features accordingly. We’re loving the community collaboration that we’re experiencing with our users and we’re looking forward to opening up the public beta.